About a week ago, the FTC filed a suit against Endo Pharmaceuticals (among others) for blocking generic competition of its Opana ER and Lidoderm products. It is alleging that in addition to paying to delay competitive products, Endo used a no-AG commitment that gave Watson Laboratories more than 7 months of their own monopoly on the market during which Endo would not compete. 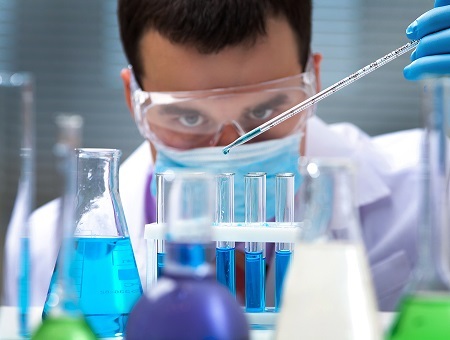 Clearly, the opportunities for generic drug products is huge, but there are regulations that must be adhered to when strategizing the best ways to maximize a company’s return on drug development investments or planning an entry into a market with a new biosimilar product. Take for example, Novartis-owned Sandoz Inc., which released a drug called Zarxio in September of 2015. Zarxio is a copycat version of Amgen’s billion dollar Neupogen drug, and the first FDA approved biosimilar drug launched in the US (the world’s largest pharmaceutical market). It is currently sold 15% below the price of the original drug. Neupogen and Zarxio are both biological drugs based on the naturally occurring human granulocyte colony stimulating factor. The 175 amino acid protein is used to stimulate the growth of white blood cells in people with compromised immune systems, for example in patients undergoing chemotherapy or bone marrow transplants. Zarxio is a perfect copy of Neupogen with the exact same amino acid sequence, and as can be expected the two drugs are indistinguishable from each other in a wide variety of FDA-administered tests. Biosimilars have been allowed in the US since 2010 as part of the Affordable Care Act, but it took until May 2015 for the legal dispute between Amgen and Sandoz Inc. to play out. In Europe, which has allowed biosimilar drugs on its markets for almost a decade, eight competing Neupogen copycats have taken almost 80% of the market. Allowing biosimilars opens up new opportunities in the US pharmaceutical market and understandably, many generic drug companies are trying to get in on the action. Neupogen biosimilar drugs from Apotex and Hospira are already under FDA review, and are expected to enter the US market soon. Keeping a finger on the pulse of the market for very specific biological sequences is becoming increasingly important. Considering the pace at which products are being developed, it is also becoming more challenging. So what’s an IP researcher to do? For starters, setting up processes and tools to keep better tabs on key sequences in your IP portfolio. To continue with our Neupogen example, I ran its entire 175 amino acid sequence through GenomeQuest, the largest biological sequence IP database*. Here is the Neupogen sequence in case you’re interested in replicating my search or perhaps want to start your own generic pharma company. The search results revealed that there are 366 applications that have this exact same sequence, falling into 101 extended INPADOC families, owned by about as many companies. A quick analysis of the results also tells us that a staggering 31 of these documents are granted and mention the sequence in the claims. There is no doubt in my mind that everyone who has a horse in this race is well aware of these documents and has looked at them carefully. So why go over this example? As the volume of research required to compete increases, the efficiency and thoroughness of getting a complete set of results will be a significant competitive advantage. Using GenomeQuest, the sequence search and analysis tasks took only about five minutes, and I was very confident that I had found all the important documents. The only additional step I would recommend would be a sophisticated full-text keyword search that could bring up more, but I doubt anyone would write an application relevant to this biological without including the sequence itself. Want more inspiration? An even bigger bounty lies in copying multibillion dollar antibody drugs for autoimmune diseases and cancer. In February 2015 South Korea’s Celltrion launched a biosimilar version of Johnson & Johnson’s monoclonal antibody, Remicade, in Europe. Remicade is an antibody that is used to treat autoimmune diseases like rheumatoid arthritis and inflammatory bowel disease. The FDA is currently reviewing Celltrion’s biosimilar antibody for release on the US market. Searching for antibody biosimilars is a little more involved. What matters most are the Complementarity Determining Regions (CDRs), small regions in the antibody amino acid sequence that interact directly with the specific antigen target. It is possible to change a lot of the amino acids outside of these CDRs to possibly avoid infringement, and still have a working biosimilar drug. The good news is that GenomeQuest not only provides access to all the data, it also incorporates the search algorithms and analysis capabilities that help you take those variations in amino acids outside the CDRs into consideration so you can generate better results faster. 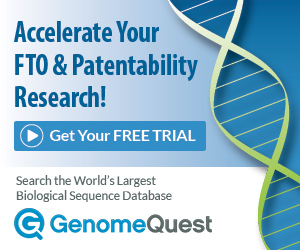 *GenomeQuest contains over 315 million sequences found in 710 thousand patent applications from all over the world. Learn more about GenomeQuest.